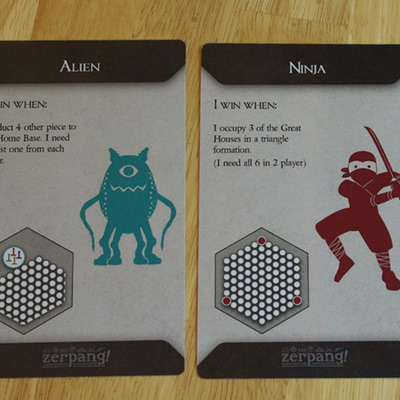 Whirling Derby Games - Zerpang! 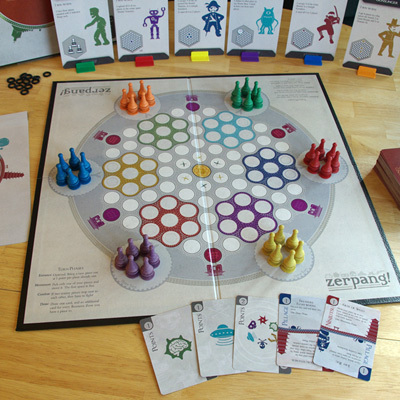 If you are looking for a game where geek culture archetypes are creatively mixed and offer a unique area control, resource management, combat game, then do make room on your gaming table for Zerpang! 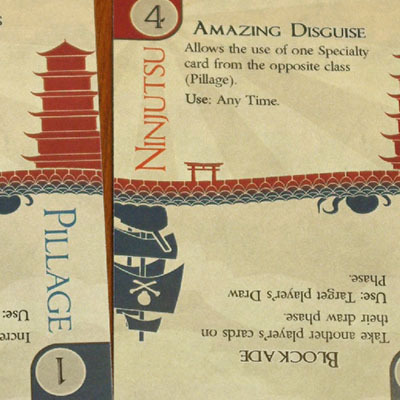 In the end, this is a deeply strategic game perfect for a gaming group... 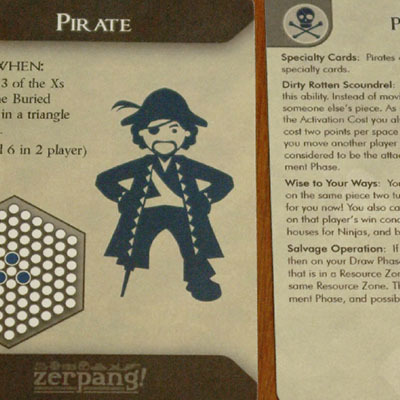 Kudos to Whirling Derby for an excellent game! 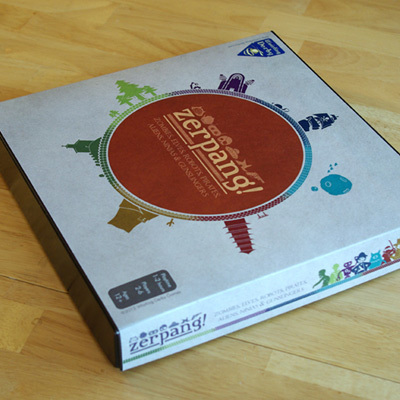 This deluxe edition of Zerpang! 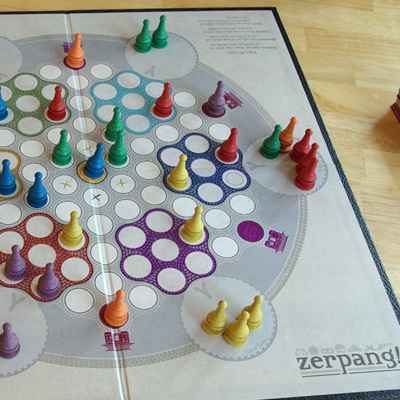 features wood composite pawns, a 0.4"-thick game board, and enhanced artwork. The standard (first) edition is also available for purchase.